1. Решетов И.В., Тихилов Р.М., Кочиш А.Ю., Шубняков И.И. Научная специальность «травматология и ортопедия» в 2017 г.: Анализ выполненных диссертаций. Травматология и ортопедия России. 2018;24(3):9-18. 001:10.21823/2311-2905-2018-24-3-9-18. DOI: 10.21823/2311-2905-2018-24-3-9-18. 2. Середа А.П. Комментарий к статье И.В. Решетова с соавторами «Научная специальность „травматология и ортопедия" в 2017 г: анализ диссертаций». Травматология и ортопедия России. 2018;24(3):19-21. DOI: 10.21823/2311-2905-2018-24-3-19-21. 3. Kim S.H., Cho W.S., Joung H.Y., Choi Y.E., Jung M. Perfusion of the Rotator Cuff Tendon According to the Repair Configuration Using an Indocyanine Green Fluorescence Arthroscope: A Preliminary Report. Am / Sports Med. 2017;45(3):659-665. DOI: 10.1177/0363546516669778. 4. Wilhelm E.N., Mourot L., Rakobowchuk M. Exercise-Derived Microvesicles: A Review of the Literature. Sports Med 2018;48(9):2025-2039. DOl: 10.1007/S40279-018-0943-Z. 5. Oganesyan O.V., Istomina I.S., Kuzmin V.l. Treatment of equinocavovarus deformity in adults with the use of a hinged distraction++ apparatus. / Bone Joint Surg Am. 1996;78(4):546-556. 6. Gorodetskyi I.G., Gorodnichenko А.1., Tursin RS., Reshetnyak V.K., Uskov O.N. Non-invasive interactive neurostimulation in the post-operative recovery of patients with a trochanteric fracture of the femur. A randomised, controlled trial. / Bone Joint Surg Br. 2007;89(11):1488-1494. 7. Azolov V.V., Aleinikov A., Keilmarm V.K., Kaiumov Y. Tactics and general principles in the treatment of polytraumatized disaster victims. Clin Orthop RelatRes. 1995;(320):11-15. 8. Cherkes-Zade D.l. Osteoplastic correction of the pelvic ring in old injuries of the sacroiliac and pubic joints aggravated by a large divergence of the pubic symphysis. Clin Orthop RelatRes. 1991;(266):19-22. 9. Gerasimov A.M., Toporova S.M., Furtseva L.N., Berezhnoy A.P., Vilensky E.V., Alekseeva R.l. The role of lysosomes in the pathogenesis of unicameral bone cysts. Clin Orthop RelatRes. 1991;(266):53-63. 10. Ilizarov G.A. Clinical application of the tension-stress effect for limb lengthening. Clin Orthop Relat Res. 1990;(250):8-26. 11. Ilizarov G.A. The tension-stress effect on the genesis and growth of tissues: Part II. The influence of the rate and frequency of distraction. Clin Orthop Relat Res. 1989;(239):263-285. 12. Ilizarov G.A. The tension-stress effect on the genesis and growth of tissues. Part I. The influence of stability of fixation and soft-tissue preservation. Clin Orthop Relat Res. 1989;(238):249-281. 13. KeshishyanR.A., RozinovV.M., MalakhovO.A., Kuznetsov L. E., Strunin E.G., Chogovadze G.A., Tsukanov VE. Pelvic polyfractures in children. Radiographic diagnosis and treatment. Clin Orthop Relat Res. 1995;(320):28-33. 14. Mattis E.R. The current state of traumatology and orthopedics. Clin Orthop Relat Res. 1991 May;(266) :23-6. 15. Nazarenko GI, Mironov NP. Forecasting of the course and outcome of shock in severe mechanical traumas. Clin Orthop Relat Res. 1991;(266):27-33. 16. Novikov K..I, Subramanyam K.N., Muradisinov S.O., Novikova O.S., Kolesnikova E.S. Cosmetic lower limb lengthening by Ilizarov apparatus: what are the risks? Clin Orthop Relat Res. 2014;472(ll):3549-3556. DOI: 10.1007/S11999-014-3782-8. 17. Oganesian O.V., Istomina I.S. Talipes equinocavovarus deformities corrected with the aid of a hinged-distraction apparatus. Clin Orthop Relat Res. 1991;(266):42-50. 18. Omelianenko N.P. A quantitative analysis of the ultrastructural organization of extracellular components in human articular cartilage. Clin Orthop Relat Res. 1991;(266):34-41. 19. Onoprienko G.A., Buatchidze O.Sh., Sukhonosenko V. M. Treatment of neglected complicated multiple musculoskeletal injuries. Clin Orthop Relat Res. 1995;(320):24-27. 20. Rozinov V.M., Savel’ev S.B., Keshishyan R.A., Samoilov V. D., Belyaeva O.A., Pligina E.G., Ryabinskaya G.V. Organ-sparing treatment for closed spleen injuries in children. Clin Orthop Relat Res. 1995;(320):34-39. 21. Sarkisyan A.G. Microsurgery in hand and forearm reconstructive surgery. Clin Orthop Relat Res. 1991;(266):51-52. 22. Shaposhnikov Y.G., Kesyan G.A., Kondrat’eva I.E. New concepts of the pathogenesis in the healing process of gunshot wounds. Clin Orthop Relat Res. 1995;(320):40-42. 23. Trapeznikov N.N., Amiraslanov A.T. IIB osteosarcoma. Current management and survival statistics in the USSR. Clin Orthop Relat Res. 1991;(270):107-112. 24. Zatsepin S.T., Burdygin V.N. Replacement of the distal femur and proximal tibia with frozen allografts. Clin Orthop Relat Res. 1994;(303):95-102. 25. Zhuravlev S.M., Novikov P.E., Theodoridis C.A. Mortality caused by polytrauma. Clin Orthop Relat Res. 1995;(320):43-45. 26. Kornilov N., Lindberg M.F., Gay C., Saraev A., Kuliaba T., Rosseland L.A., Lerdal A. Higher physical activity and lower pain levels before surgery predict nonimprovement of knee pain 1 year after TIC. Knee Surg Sports Traumatol Arthrosc. 2018;26(6): 1698-1708. DOI: 10.1007/S00167-017-4713-5. 27. Bakhtadze M.A., Vernon H., Zakharova O.B., Kuzminov K.O., Bolotov D.A. The Neck Disability Index-Russian Language Version (NDI-RU): A Study of Validity and Reliability. Spine (Phila Pa 1976). 2015 15;40(14):1115- 1121. DOI: 10.1097/BRS.0000000000000880. 28. Ezhevskaya A.A., Mlyavykh S.G., Anderson D.G. Effects of continuous epidural anesthesia and postoperative epidural analgesia on pain management and stress response in patients undergoing major spinal surgery. Spine (Phila Pa 1976). 2013;38(15): 1324-1330. DOI: 10.1097/BRS.0b013e318290ff26. 29. Gubin A.V., Ulrich E.V., Taschilkin A.I., Yalfimov A.N. Etiology of child acute stiff neck. Spine (Phila Pa 1976). 2009;34(18): 1906-1909. DOI: 10.1097/BRS.0b013e3181abbf5d. 30. Lukina E., Kollerov M., Meswania Wertheim D., Mason P., Wagstaff P., Laka A., Noordeen H., Yoon W.W., Bluim G. Analysis of retrieved growth guidance sliding LSZ-4D devices for early onset scoliosis and investigation of the use of nitinol rods for this system. Spine (Phila Pa 1976). 2015;40(l):17-24. DOI: 10.1097/BRS.0000000000000660. 31. Ryzhkov I.I., Borzilov E.E., Chumosov M.I., Ataman A.V., Dedkov A.A., Polonikov A.V. Transforming growth factor betalisanovelsusceptibihtygeneforadolescentidiopathic scoliosis. Spine (Phila Pa 1976). 2013;38(12):E699-704. DOI: 10.1097/BRS.0b013e31828de9el. 32. Toroptsova N.V., Benevolenskaya L.I., Karyakin A.N., Sergeev I.L., Erdesz S. «Cross-sectional» study of low back pain among workers at an industrial enterprise in Russia. Spine (PhilaPa 1976). 1995;20(3):328-332. 33. Voronovich I.R., Dulub O.I., Nikolayev V.N., Selkov J.I. A variant of severe deformation of the thoracic spine with favorable neurologic outcome. Spine (Phila Pa 1976). 1990; 15(8) :833-834. 34. Gubin A.V., Prudnikova O.G., Subramanyam K.N., Burtsev A.V., Khomchenkov M.V., Mundargi A.V. Role of closed drain after multi-level posterior spinal surgery in adults: a randomised open-label superiority trial. Eur Spine J. 2018 Oct 11. DOI: 10.1007/s00586-018-5791-x. [Epub ahead of print]. 35. Lvov L, Grin A., Kaykov A., Smirnov V., Krylov V. Anterior transarticular C1 -C2 fixation with contralateral screw insertion: a report of two cases and technical note. Eur Spine J. 2018;27 (Suppl 3):347-352. DOI: 10.1007/S00586-017-5257-6. 36. Mushkin A.Y., Gubin A.V., Ulrich E.V., Snischuk V.P. A case study of occipital outgrowth: a rare suboccipital abnormality. Eur Spine J. 2016;25 (Suppl l):198-203. DOI: 10.1007/S00586-016-4389-4. 37. Mushkin A.Y., Naumov D.G., Evseev V.A. Multilevel spinal reconstruction in pediatric patients under 4 years old with non-congenital pathology (10-year single-center cohort study). Eur Spine J. 2018 Sep 7. DOI: 10.1007/S00586-018-5756-0. [Epub ahead of print]. 38. Borzunov D.Y., Chevardin A.V. Ilizarov non-free bone plasty for extensive tibial defects, hit Orthop. 2013;37(4):709-14. DOI: 10.1007/s00264-013-1799-3. 39. Borzunov D.Y., Chevardin A.Y., Mitrofanov A.I. Management of congenital pseudarthrosis of the tibia with the Ilizarov method in a paediatric population: influence of aetiological factors, hit Orthop. 2016;40(2):331-339. DOI: 10.1007/s00264-015-3029-7. 40. Borzunov D.Y., Shastov A.L. Mechanical solutions to salvage failed distraction osteogenesis in large bone defect management, hit Orthop. 2018 Jun 23. DOI: 10.1007/S00264-018-4032-6. 41. Borzunov D.Y. Long bone reconstruction using multilevel lengthening of bone defect fragments, hit Orthop. 2012;36(8):1695-1700. DOI: 10.1007/s00264-012-1562-l.
42. Goncharov E.N., Koval O.A., Bezuglov E.N., Goncharov N.G. Anatomical features and significance of the anterolateral ligament of the knee, hit Orthop. 2018 Jul 3. DOI: 10.1007/S00264-018-4049-X. [Epub ahead of print]. 43. Gubin A.V., Borzunov D.Y, Maikova T.A. The Ilizarov paradigm: thirty years with the Ilizarov method, current concerns and future research. hit Orthop. 2013;37(8):1533-1539. DOI: 10.1007/S00264-013-1935-0. 44. 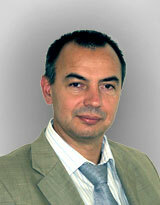 Gudushauri O.H., Tvaliashvili L.A. Local epidermoplasty for syndactyly, hit Orthop. 1991;15(l):39-43. 45. Kliushin N.M., Ermakov A.M., Maikova T.A. Chronic periprosthetic hip infection: micro-organisms responsible for infection and re-infection, hit Orthop. 2017;41(6):1131-1137.DOI:10.1007/s00264-016-3341-x. 46. Lipina M., Makarov M., Makarov S., Novikov A. The degree of cartilage degradation assessed by serum biomarker levels changes after arthroscopic knee synovectomy in rheumatoid arthritis patients, hit Orthop. 2017;41(ll):2259-2264. DOI: 10.1007/s00264-017-3634-8. 47. Lipina M., Makarov M., Mukhanov V., Karpashevich A., Maglevaniy S., Amirdjanova V., Archipov S. Arthroscopic synovectomy of the knee joint for rheumatoid arthritis. IntOrthop. 2018 Oct 3. DOI: 10.1007/s00264-018-4160-z. [Epub ahead of print]. 48. Makhson A. Extralesional resection for tumours of the pelvic bones. Int Orthop. 1997;21(l):41-45. 49. Mushkin A.Y., Kovalenko K.N. Neurological complications of spinal tuberculosis in children. Int Orthop. 1999;23(4):210-212. 50. Popkov A., Aranovich A., Popkov D. Prevention of recurrence of tibia and ankle deformities after bone lengthening in children with type II fibular hemimelia. Int Orthop. 2015;39(7):1365-1370. DOI: 10.1007/S00264-015-2752-4. 51. Popkov A., Aranovich A., Popkov D. Results of deformity correction in children with X-linked hereditary hypophosphatemic rickets by external fixation or combined technique. Int Orthop. 2015;39(12):2423- 2431. DOI: 10.1007/S00264-015-2814-7. 52. Popkov D., Popkov A. Progressive lengthening of short congenital forearm stump in children for prosthetic fitting. Int Orthop. 2016;40(3):547-554. DOI: 10.1007/S00264-015-3112-0. 53. Prudnikova O.G., Shchurova E.N. Operative management of high-grade dysplastic L5 spondylolisthesis with the use of external transpedicular fixation: advantages and drawbacks. Int Orthop. 2016;40(6):1127-1133. DOI: 10.1007/S00264-016-3166-7. 54. Prudnikova O.G., Shchurova E.N. Surgical correction of severe spinal deformities using a staged protocol of external and internal techniques. Int Orthop. 2018;42(2):331-338. DOI: 10.1007/s00264-017-3738-l.
55. Shevtsov V.I., Danilkin M.Y. Application of external fixation for management of hand syndactyly. Int Orthop. 2008;32(4):535-539. 56. Sokolovski V.A., Voloshin V.P., Aliev M.D., Zubikov V.S., Saravanan S.A., Martynenko D.V., Nisichenko D.V., Strelnikov K.N. Total hip replacement for proximal femoral tumours: our midterm results. Int Orthop. 2006;30(5):399-402. 57. Solomin L.N., Paley D., Shchepkina E.A., Vilensky V.A., Skomoroshko P.V. A comparative study of the correction of femoral deformity between the Ilizarov apparatus and Ortho-SUV Frame. Int Orthop. 2014;38(4):865-872. DOI: 10.1007/S00264-013-2247-0. 58. Stupina T.A., Shchudlo M.M., Shchudlo N.A., Stepanov M.A. Histomorphometric analysis of knee synovial membrane in dogs undergoing leg lengthening by classic Ilizarov method and rapid automatic distraction. Int Orthop. 2013;37(10):2045-2050. DOI: 10.1007/S00264-013-1919-0. 59. Tikhilov R., Bozhkova S., Denisov A., Labutin D., Shubnyakov I., Razorenov V., Artyukh V., Klitsenko O. Risk factors and a prognostic model of hip periprosthetic infection recurrence after surgical treatment using articulating and non-articulating spacers. Int Orthop. 2016;40(7):1381-1387. DOI: 10.1007/s00264-015-3072-4. 60. Tikhilov R., Shubnyakov 1., Bums S., Shabrov N., Kuzin A., Mazurenko A., Denisov A. Experimental study of the installation acetabular component with uncoverage in arthroplasty patients with severe developmental hip dysplasia. Int Orthop. 2016;40(8):1595-1599. DOI: 10.1007/S00264-015-2951-Z. 61. Zagorodniy N., Nikolaev L, Nuzhdin V., Kagramanov S. Prospective cohort stirdy of six hundred and sixty four revisions of loose failed acetabular implants. Int Orthop. 2014;38(10):2021-2025. DOI: 10.1007/S00264-014-2396-9. 62. Barbier D., Neretin A., Joumeau P., Popkov D. Gradual metatarsal lengthening by external fixation: a new classification of comphcations and a stable technique to minimize severe comphcations. Foot Ankle Int. 2015;36(11):1369-1377.DOI: 10.1177/1071100715593373. 63. Boycheriko A.V., Solomin L.N., Parfeyev S.G., Obukhov I. E., Belokrylova M.S., Davidov D.V. Efficacy of bilateral simultaneous hallux valgus correction compared to unilateral. Foot Ankle Int. 2015;36(11):1339-1343. DOI: 10.1177/1071100715589174. 64. Kliushin N.M., Sudnitsyn A.S., Subramanyam K.N., George J. Management of neurologic deformity of the ankle and foot with concurrent osteomyelitis with the Ilizarov method. Foot Ankle Int. 2018;39(2):226-235. DOI: 10.1177/1071100717739396.